The Omnitronic TRM-202MK3 2-Channel Rotary Mixer features a 3-band frequency isolator with a 2-way EQ, a 10-digit LED level meter, and a DJ mic input. 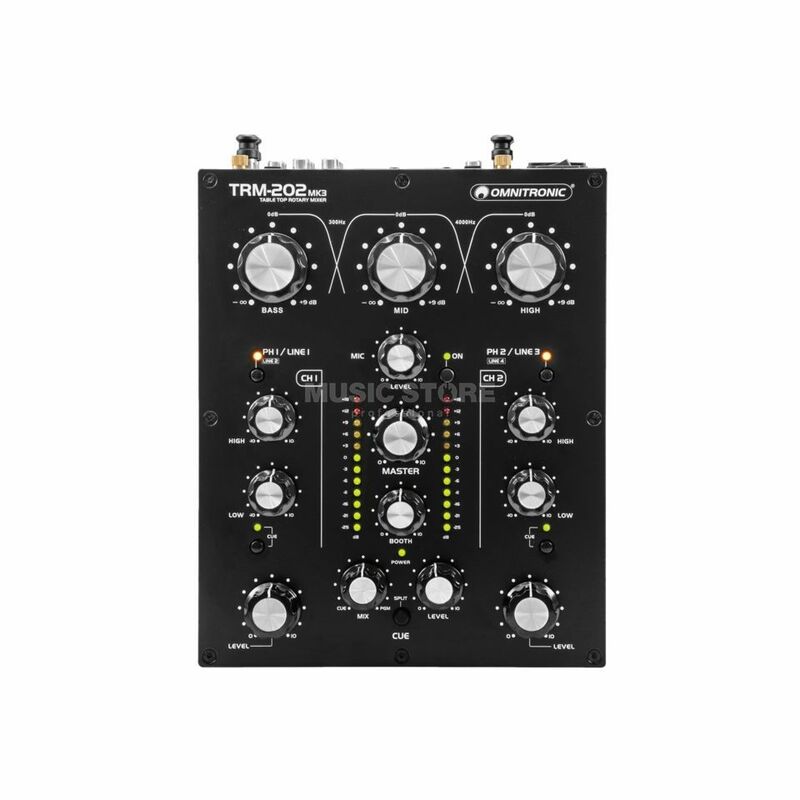 This rotary mixer features two input channels and an integrated 3-band frequency isolator for DJs with a gain control, 2-way equalizer (Highs/Lows) and phono/line switching for each channel. A dedicated boost and kill cut allows DJs to completely remove low, mid and high frequencies for quality mixing. High-grade components ensure a long life and excellent sound quality. The DJ microphone input has a separate level control, whilst prefader listening is enabled to input channels and the master output via adjustable headphones output, with cue mix/split function.